There's something profoundly important missing from your life. You feel it, and it hurts, but you can't remember what it is. No matter how much money or status you have, no matter how perfect your life looks, it doesn't satisfy you or take away the pain. It's time to face it but you're terrified to open that door. You're convinced that opening the door will be facing your worst nightmare: your whole life comes crumbling down as you're consumed by self-judgment, shame, rage, grief, guilt, and blame. Would you like a new possibility? Let's talk. What if that door opens the Divine within you? You are a unique expression of the consciousness that created you. Most likely you have spent your life up to this point immersed in your personality, and unaware of your Divine. What would it be like to feel the presence of your Soul in every cell of your body? 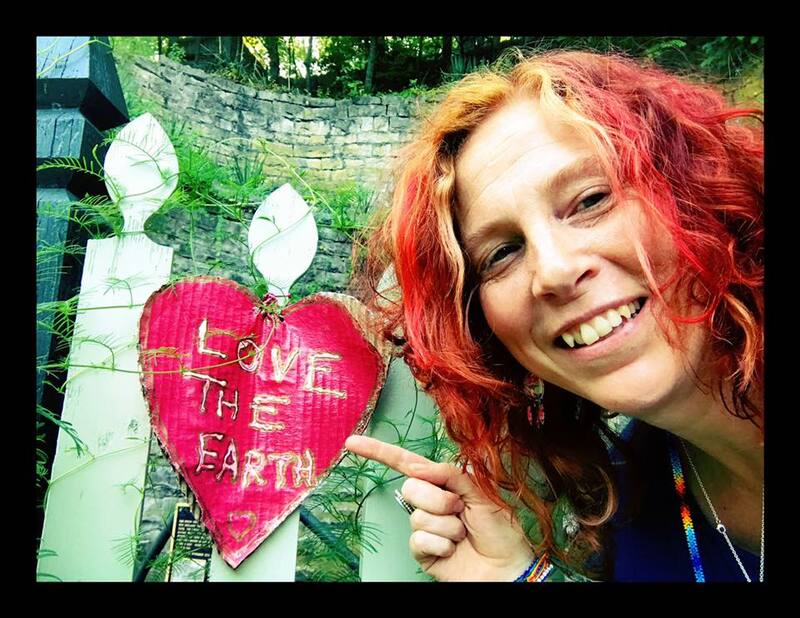 How would your life change if you knew yourself as a student of Earth School, earning wisdom through experience? What if you could feel the unconditional love of your Creator? 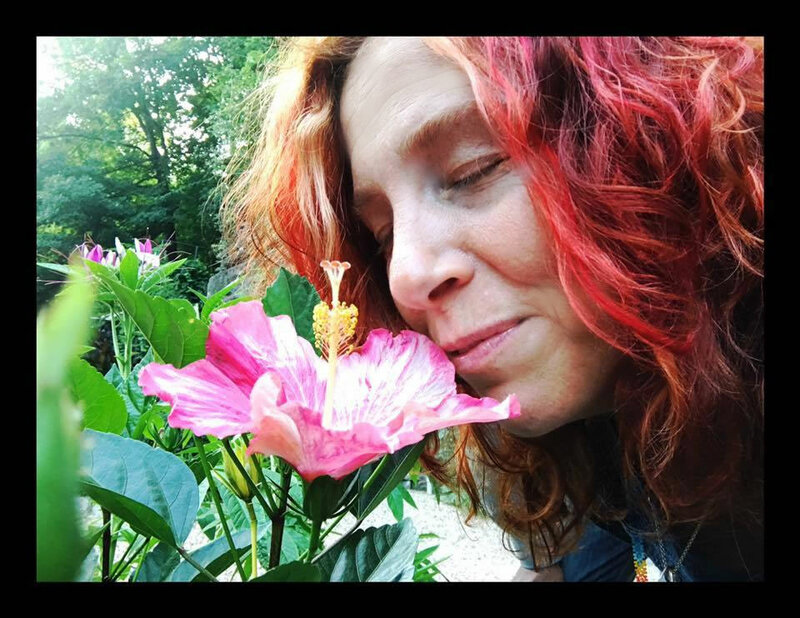 Kerri is one of the few people I have worked with who was actually able to help me access deep-seated lifelong trauma—what I call sacred wounds—to finally heal and release stuck energy that was holding me back in life, love and business. I highly recommend her to anyone looking for the real deal. Worth every penny! When was the last time you believed in magic and miracles? Before age 7? Our modern world taught you to prioritize logic over inspiration, thoughts over imagination, and judgment over heart wisdom. This is why you may feel disconnected from your soul. Your Soul, and the consciousness that created you, is like a child: playful, curious, and generous. Until you have a mystical experience you can perceive with your senses, it can be hard to believe in the Divine because the conditioning of your mind gets in the way. Your mind craves answers and proof before it is willing to let down its guard—but the leap of faith requires you to tune into a different station than the mental chatter. So how do you find your way back to unconditional love for yourself and others? How do you bring your Soul to Earth and embody your Divine consciousness? I simply wouldn't be the same person I am today without Kerri's help and support. I have had the privilege to work with Kerri for several years now. Her support and expertise have been nothing short of instrumental to my personal growth and empowerment. Your Soul has customized a unique pathway, just for you, with hidden surprises, synchronicity and mystical moments. Every human on Earth has their own unique pathway: 8 billion 'right' perspectives all happening at once. Would you like to start your own incredible journey of discovery? You can learn how to listen within, trust your own guidance, and claim wisdom from your life experiences. The journey of self discovery and soulfully deep healing is actually never ending, but with Kerri as my guide, teacher and healer, I am stronger and braver than ever before. She has shown me my worth, my truth, and has helped me see the humor in my mistakes (lessons) as I continue this life. The perfect example of evolution is the butterfly: it begins its life as a caterpillar, enters the cocoon, and comes out the other side beautiful and free. You can completely transform your life too, just like the butterfly. Would you like to fly with Spirit wherever your heart calls you? Learn more about inner transformation in this free ebook, Reinvent Yourself: Indulge Your Deepest Desires By Becoming Who You Are Starving To Be. 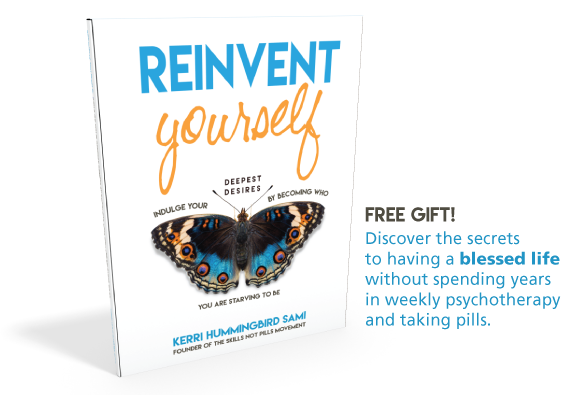 Get FREE Instant Access to Reinvent Yourself eBook! People can say anything, but their results are the proof. You want a mentor who has experienced the same challenges you're facing; it's not enough to have textbook knowledge. A true mentor speaks from wisdom gained through overcoming life challenges. You're welcome to look into the journey I've lived to satisfy yourself about the power of the Creator through my own personal evolution. Eight years ago, my Soul urged me to write my story of transformation as it was happening, with complete honesty, because I was to 'chart the course out of madness.' Then Hummingbird appeared as my guide, and I knew that I, too, am Hummingbird. Hummingbird is a Messenger from Spirit that helps you reconnect with joy and love so you can taste the nectar of life. Does this message speak to your heart? Do you yearn for your own sacred journey? Dreams held under the current of life so long they were all but dead. I no longer knew their color, their shape, their form. Seeds still, with a will to live. These dreams of mine, these kernels of light. Their light was fading, soon they would be dead. And that is when the Hummingbird that is Kerri, flew into my life. We embarked on a magical journey to Reinvent myself. A beautiful journey full of lessons, visions, synchronicities, and the magic of spirit. And invite my dreams out of the darkness. 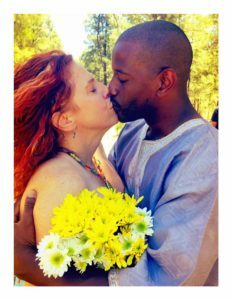 Kerri Hummingbird has been the doula of my dreams. Can we agree that the world religions have divided us, rather than bring us together? You may have become disillusioned by dogma yourself, wondering "What is real?" You may have been brought up to be fearful about opening the door to your spirituality, as if you could be led astray with a clear intent to discover the Divine within yourself. Many challenges face you as you explore spirituality. Competing belief systems, social conditioning, self-doubt, and feelings of unworthiness. You may feel abandoned even though you pray all the time. What we have in common is our home: Mother Earth. So let's start there. If we agree that Divine consciousness created All That Is, then we agree that stones, plants, animals, mountains, and streams are our friends. We can learn to tap into nature as a source of inspiration and power that can lead us home to our Creator. Concerned whether my spiritual mentoring aligns with your religious beliefs? Let's have a conversation. Working with Kerri, I was able to clear out some negative emotions that were holding me back, and reprogram some hard-wired self-limiting beliefs. I highly recommend Kerri. If you're experiencing any life challenges, if you're blocked or stuck in any way, Kerri will unblock and un-stuck you. Never Give Up On Yourself. Ever. If you're not in love with your life, it's time to do something about it. You didn't find this website by accident. You got here because you need to be here. No matter how stuck you feel in this moment, you have the potential to claim everything your heart deeply desires. How? By becoming the kind of person who lives the life you really want. 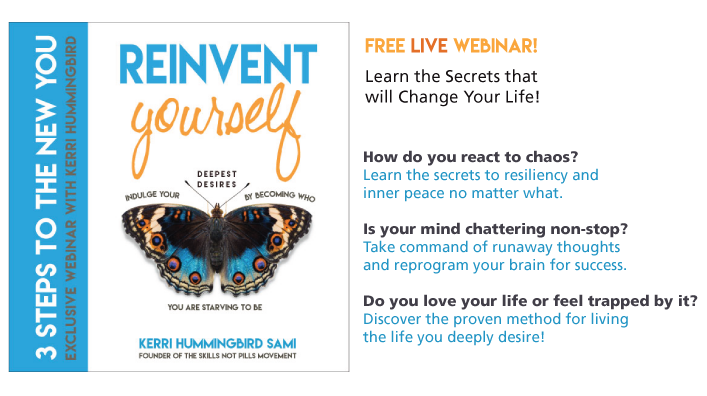 Grab a FREE Pass to the Reinvent Yourself Live Webinar! The more we face our fears, release our repressed emotions, and forgive our past, the more room we have to embrace all that we are and experience the most wonderfully divine sensation: soul nectar. Soul nectar is like tasting the sweetest honey, except instead of coming from a flower, it oozes up from your insides with warm excitement. Living from soul nectar is passionate, powerful and purposeful. You deserve to indulge in soul nectar every day. Get FREE Instant Access to the Reinvent Yourself eBook! The path to that life you desire for yourself is an inner journey of healing the subconscious. You can train your conscious mind to rigidly enforce affirmations, and when you find yourself in the same repeating patterns a year from now, stop back by and begin the real journey: the journey to deeply listen to yourself and discover who you really are. As you become aware of your subconscious programming, you reveal your true essence that's been covered up by conditioning. You can only change what you are aware exists, and to cultivate awareness you must be willing to do life differently and be uncomfortable in the process. The conscious mind only controls 10% of your life experiences. In the Law of Attraction, this means what you don't see in your shadow world is creating 90% of your life. Navigating the subconscious can be tricky because it is often defended by a fearful ego personality...the false self. That false self can send you down some thought tunnels and twisting mazes that lead you back to where you started, and having barely scratched the surface after all that effort. The work of personal transformation is also tricky because of the resistance to change from your partner, family and friends. Having a neutral witness who has years of training in spiritual inquiry is a valuable aid in this exploration process until you get to a cooperative place with your false self, and you're strong enough to hold your truth in the face of your loved ones. Would you like a mentor with honed intuitive powers and shadow tracking skills to keep you on track and honest with yourself? You deserve a mentor that empowers you to keep forward momentum on your own, rather than creating a dependency. You deserve forever access to powerful skills and practices that catalyze dynamic shifts. You deserve a clear timeline for progress, and a mentor who has cultivated over a lifetime of experience and tens of thousands of dollars of intense spiritual exploration. Are you ready to be empowered with everything you need to achieve your highest destiny? If you are ready to reinvent yourself, let's get started! How would you feel comfortable getting to know me? Let's hop on a call together. During a Reinvent Yourself Discovery Session, you get to share your dreams and your struggles without anyone trying to negate your perspective, fix you, or placate you. Have you ever been deeply witnessed? What kind of support do you need to take your life to the next level of fulfillment? How much peace, wonder, joy and awe do you want to feel? You'll be given plenty of options to match your willingness and ability to invest in yourself. You get to decide how you want to move forward. It's as simple as that. Here's a link to book a complimentary private 45-minute Reinvent Yourself - Discovery Session. 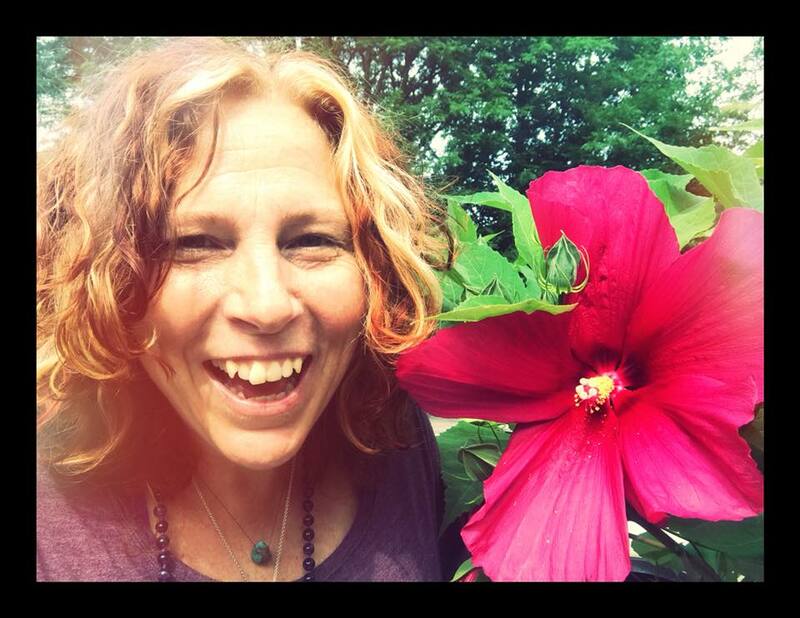 Kerri is a generous, intuitive, and gifted healer. I can't say enough about how much she has helped me in multiple ways. Recently we did a remote session focusing on a heart healing. It honestly rocked my world! She patiently and thoroughly shared all the details of what she would be doing with me and the shamanic tools she's would be using for the healing. The entire process was utterly guided by spirit and felt so sacred. When we were done, I felt like I had shed years, dare I say lifetimes, of stale, toxic, life-sucking energy that had been weighing me down. She let me know that I'd be feeling the effects of the healing for a few days and she was right. The next day I felt so much brighter and lighter and my mind was calm and present. Thank you, Kerri for sharing your gifts and heart with the world. You're an inspiration and I'm so blessed by you. As a spiritual empowerment coach, I searched for a mentor who was further along in the soul journey who could teach me new skills and overcome energetic blocks so I could serve my tribe better. 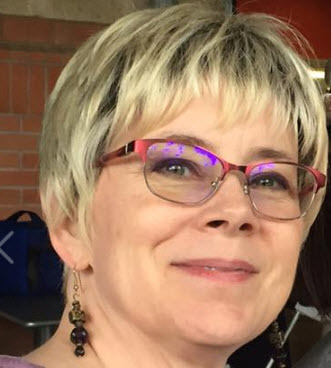 It’s taken me a long time to find such a person but Kerri is one of the few people I have worked with who was actually able to help me access deep-seated lifelong trauma—what I call sacred wounds—to finally heal and release stuck energy that was holding me back in life, love and business. 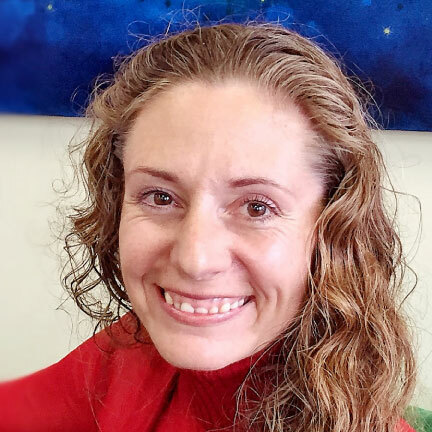 She is a gifted healer and has the utmost love, compassion and integrity when holding space for her clients to shift into a more empowered place in life. If you are looking for a trustworthy guide to show you how to transform yourself at the soul level Kerri is absolutely my go-to person. I highly recommend her to anyone looking for the real deal. Worth every penny! I have had the privilege to work with Kerri for over a year now. Her support and expertise have been nothing short of instrumental to my personal growth and empowerment. Her consistency, warmth, knowledge and approach are a perfect fit for me. I know she's always available to me to reach out to, and even schedule an emergency session if needed. I know I will be supported through the session, not preached to or limited in any way. I always feel very comfortable sharing the most difficult experiences with her so we can move past them, and learn from them at the same time. I simply wouldn't be the same version of myself today without Kerri's help and support. That's why I always mention her to my friends, and individuals that may need her expertise. Kerri has an infectious positive energy which has helped me get over myself and quit worrying about doing an exercise wrong. Because after years of being taught that there is one right way and million wrong ways to do something, Kerri is helping me see it’s the other way around; there are a million right ways, and the only real wrong way to do something that you want to accomplish is to not even give it a try. I wholeheartedly suggest you give Kerri Hummingbird’s services a shot. Let her bring some light to the parts of you that are in shadow. You might think that her methods won’t work for you. But you’ll never know if you don’t try. Sometimes the biggest thing holding us back is our internal negative conversation...let Kerri help you turn that into a positive forward-moving conversation...you won't be disappointed! When Kerri steps into your life, not only do you feel as though you have a support team, you learn to find the support, love and guidance that you’ve been looking for from other people inside of yourself. 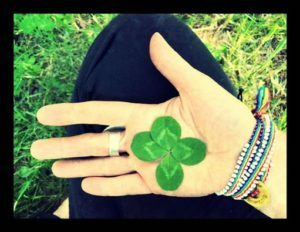 Kerri offers healing techniques that are easy to practice daily and that are more than just words, they are practical, non-traditional methods to make changes in your daily life. She also offers incredible insight into the core of patterns and issues that hinder individuals from living as their highest selves. 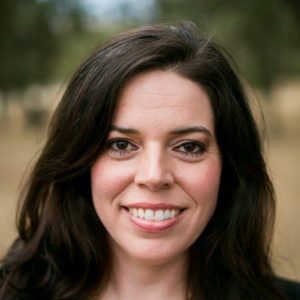 What makes Kerri distinct in her practice is her honesty, ability to relate to your problems through her life experiences and consistency. I’ve recommended her service to all of my friends. I wouldn’t be working with anyone else. 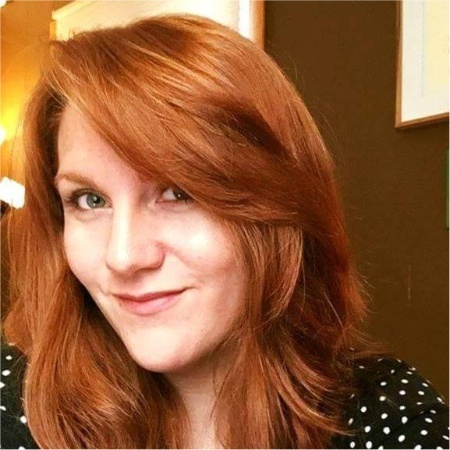 Kerri brings true passion, light and energy to all she does. Her heart is huge, her skills honed and her commitment to clients runs deep. She is a joy to work with, an energizer and an amazing person! 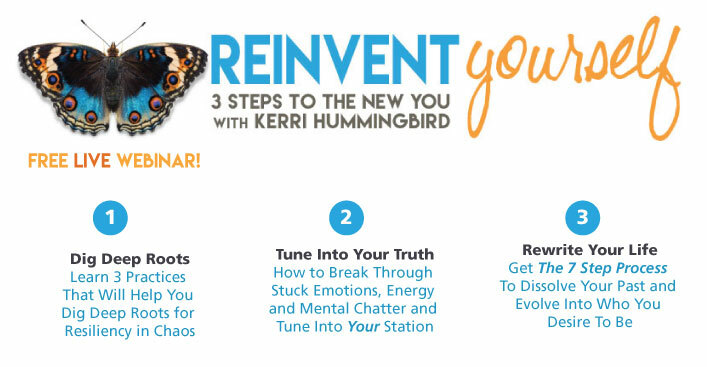 Kerri Hummingbird has helped me change my life and the way I view life in a positive way. Her warmth and understanding of my life's issues and her energy practices have helped me move forward. Any negative moments or repetitive issues that may arise I can now work through and have a positive outcome. I feel good about myself where I used to blame myself or others for my negative feelings. I finally love myself and know that only I can make the changes to move forward. Kerri's positive reinforcement and strength has encouraged me to be a stronger person. Her energy healing is like a warm hug that engulfs your soul and for me was transforming. I cannot thank Kerri enough for the positive changes in my life, I am so thankful that she is a part of my life. The very first time I spoke to Kerri on my free consultation call, I felt her inner warmth and healing energy immediately. I was scared to confront so many of my thoughts, fears and experiences which were replaying in my head, but gracefully, Kerri stood next to me, accepted my pace and guided me through the jungle of my inner work. The journey of self discovery and soulfully deep healing is actually never ending, but with Kerri as my guide, teacher and healer, I am stronger and braver than ever before She has shown me my worth, my truth and has helped me see the humor in my mistakes (lessons) as I continue this life. She has taught me tangible and effective techniques to take care of myself everyday. Also, a funny side note is that I've never met Kerri in person., but I can honestly say, she knows me better than my closest of friends and family. She cuts out the fluff and goes straight to the work which I find to be refreshing! All while having moments of laughter mixed in with some yummy recipe swaps. She has shifted my perceptive of myself, my partner, and my entire view of this beautiful world. She's even influenced me professionally as I bring many of her teachings into my own sessions with my clients. 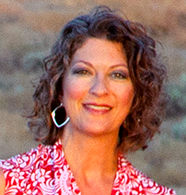 Kerri consistently provides me with titles of conscious-expanding books, articles and other life altering resources; I always love receiving her "recap" emails; she lists the action steps, techniques to incorporate into daily practice and any resources discussed during our session. She transcends the definition of inspiration. She boarders the boundary between realms and is brave enough to accept her life's work of healing while knowing just how important it is for her to do her own inner healing. Uncovering the layers to find our true self is the goal. I am beyond grateful my path has brought me to Kerri as my uniquely powerful transformation coach. Thank you, Kerri... you are a true guide for this beautiful human experience. Dear Truthseekers, I am here to write about my experience with Hummingbird. When she says she can act as a life catalyst, this is the absolute truth. I sought Kerri out in November of 2015 after I went through a series of life changing events. We have now had a year long relationship that includes healings, journeys, real and raw truth, and HUGE shifting changes. Kerri has been a huge support system and has helped me piece together parts of my life in ways that have helped me make dramatic shifts and changes so that I can live the life that I know I was meant to live. My mind shifted from desolation and disillusionment to a field of dreams where I am in the one in charge of my destiny. More than half of the time that I have been in connection with Kerri, I was still living in California. Distance is not a setback for Kerri. Some of the most important work that we did was remotely and over the phone. It made no difference..Kerri is so energetically in tune that she can more than feel into what is going on even if you are in a completely different location. Kerri holds me accountable. She is not afraid to tell you what you don’t want to hear but what you need to hear (in a very direct way). She is a fellow empath and is one of the most strong, authentic, kind, loving, nurturing, and real people I have met. She has shown me how to become a witness of my experiences in order to see dynamics in my important relationships and the roles that I play. Hummingbird will fight for you. She will support and love you when you are at your ugliest and weakest point. I am ever thankful for her being an integral part of my life. What are you waiting for…? 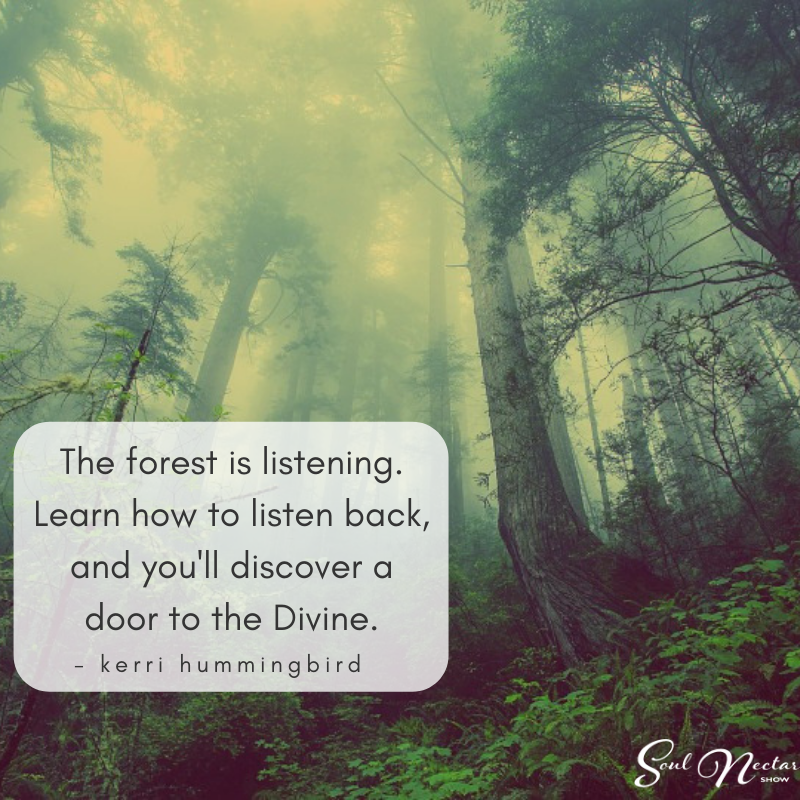 If you want to go on the biggest mind trip of your life, Kerri Hummingbird is the person to help you throughout your journey.